Hazel M. Walker, 91, of Gettysburg, died Wednesday, June 13, at Transitions Healthcare, Gettysburg. She was the widow of Francis S. Walker who died November 27, 1967. Born Nov 12, 1926 in Taneytown, Hazel was the daughter of the late Paul F. and Catherine L. (Sauerwein) Weant. She was a City Hospital School of Nursing graduate of Baltimore and was a licensed Practical Nurse. She was retired in 1996 from Green Acres Nursing Home, Gettysburg after 29 years of service. Surviving are her sons: Harold E. Walker and Paul D. Walker & wife, Carolyn; her daughter Constance E. Woodruff & husband, Eugene, all of Gettysburg; her 3 grandchildren; a step grandchild; her 8 great grandchildren; 2 step great grandchildren; her 2 great great grandchildren; her brother, Clyde F. Weant of Taneytown and her sister Kathleen L. Krout of Littlestown. Hazel was predeceased by her son, Kenneth Wayne Walker, her grandson, Paul D. Walker, Jr. and her sister, Mildred Bollinger. 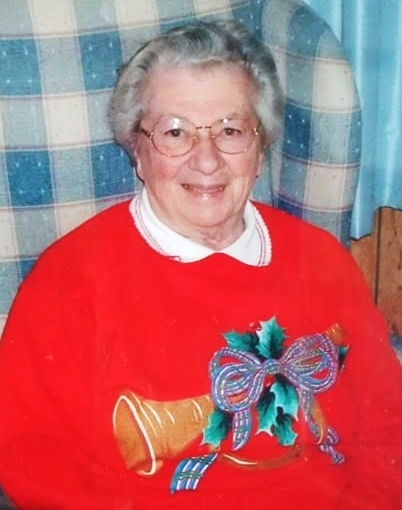 Hazel was a member of Piney Creek Presbyterian Church, Taneytown. Hazel enjoyed spending time with her family and grandchildren. Our heartfelt condolences to Paul and family. Rest in peace, Hazel. My deepest condolences to Hazel's family.